Welcome to the Trumbull County Prosecutor's Office. The Prosecuting Attorney represents the State of Ohio by inquiring into and prosecuting felony crimes committed by adults and all offenses committed by juveniles. 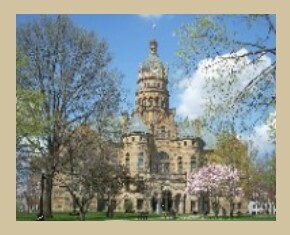 The Trumbull County Prosecuting Attorney is also legal counsel for county officials, county agencies, townships and assorted boards, representing them in various civil matters. The office is divided into five different divisions: Administrative Division, Appellate Division, Civil Division, Criminal Division and Victim/Witness Division. You will find pertinent information relating to the Prosecutor's Office within this site. We hope you find it helpful.